PHOENIX — Kayla White was 12 years old that winter morning when her life was changed forever. On Jan. 2, 2009, White’s mother was killed by her father, becoming a victim of domestic violence. White, 22 and Navajo Nation member, said she didn’t realize growing up she was seeing signs of domestic violence at home. Her older siblings, however, told White her father had been mentally and verbally abusive to their mother for years, even before she was born. Domestic violence can be defined as, “violent or aggressive behavior within the home, typically involving the violent abuse of a spouse or partner,” according to Google’s definition. It can take many forms, including mental, emotional and physical abuse. One in four women and one in seven men have experienced domestic violence in their lifetime, according to the Arizona Coalition to End Sexual and Domestic Violence and there is one group, that is more likely to encounter domestic violence than any other in the United States. She said her mother even tried to file for divorce, but her father wouldn’t let her leave. Many factors can contribute to domestic violence, including family history, times of stress, and substance abuse, according to the Center for Disease Control and Prevention. 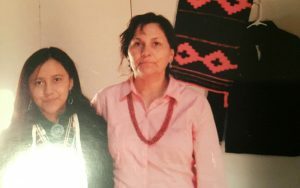 Antone left the reservation when she was just 14 years old because of the abuse she was experiencing at home. She eventually came back, and works there now as a counselor. She said she did not return home until after she pursued treatment and began coping with her abuse in a healthy way, something Antone said is not the norm. Kayla White and her mother. The Community Alliance Against Family Abuse, located in Apache Junction, is working to expand relief efforts to Native American domestic violence victims. Dorian Townsend is the Executive Director of CAAFA and a domestic violence survivor herself. 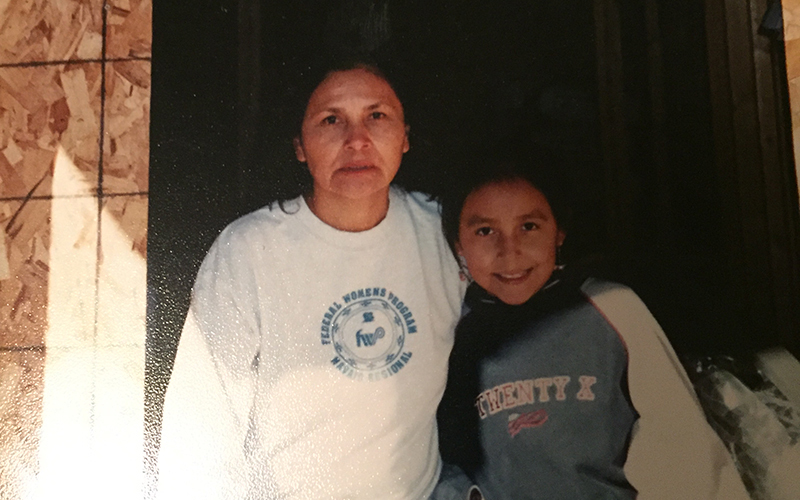 In recent years, CAAFA has helped victims from six different tribes in southern Arizona. It has a comprehensive plan through 2020 to improve the accessibility and effectiveness of resources. For example, if someone in Casa Grande or Maricopa experiences sexual assault, they have to drive to either Mesa or Scottsdale to receive treatment. Townsend said they hope to improve accessibility to help victims more easily. Townsend said CAAFA is currently working with law enforcement in Pinal County to make sure each tribal national has individualized domestic violence needs. Although studies have shown that domestic violence increases during times of stress, the staff at CAAFA wants to emphasize violence is not a one-time act. The National Domestic Violence Hotline is available at 1-800-799-SAFE (7233). Also, there are eight women’s shelters in the Phoenix-metro area readily available to accept and help those in need.